Furnished bungalow well located in gated community with clothing, CABLE TV SKY being on the top floor, 02 rooms with complete suites (all with blackout curtains, air conditioning split, double bed (bed linen) or 02 bachelor, luxury shower acabamneto and granite in all the bathrooms) on the ground have 01 floor bedroom with full suite, dining / living room (TV / DVD), full kitchen (refrigerator / freezer, gelágua, microwave, blender, crockery and kitchen utensils) service area covered and balcony for complete relaxation with private pool (board game and barbecue) and beside garage by the house for 02 cars .Condomínio with water park with several depth sizes (lap), playground, a ballroom, and games, playground, visitor parking and security. 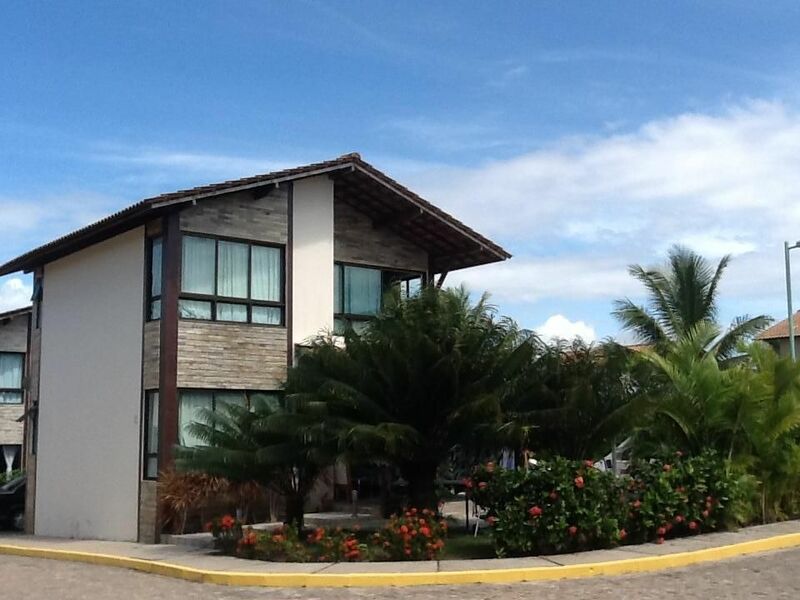 Condominium with full-service security, maintenance and support. Pool and playground for children. • 3 Baths • All with heated water, box with luxury and full glass. Imóvel muito bem localizado dentro do condomínio, que por sinal é excelente. Casa muito bem equipada com tudo novo, melhor que nas fotos. A proprietária é super atenciosa, chegou a colocar um berço na casa para que minha filha de 1 ano usar. A praia em frente é ótima! Perfeita para crianças. Na Minha opinião uma das melhores do Brasil! Obrigada , sua avaliação é muito importante pra mim , pois procuro deixar a casa sempre o melhor possível pra melhor receber ! Fica com Deus e volte sempre ! In addition to an excellent beach with warm and crystalline waters, there is a buggy ride that left from Port of chickens to visit the beaches of the surroundings which by the way are as beautiful as the Muro Alto.